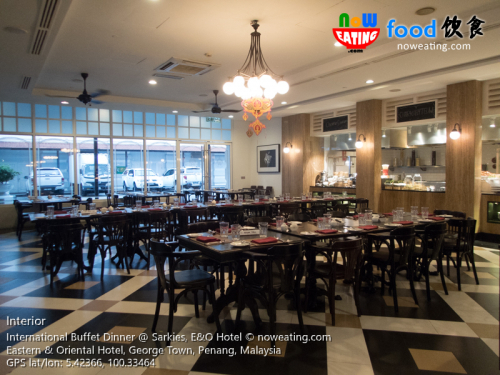 Eastern & Oriental (E&O) Hotel (GPS: 5.42366,100.33464) is no stranger to Penangites as it is by far one of the best 5-star hotels on the island. The signature British-style white building has been hosting many VVIP and celebrities over the decades with some even spent their retirement ages here. 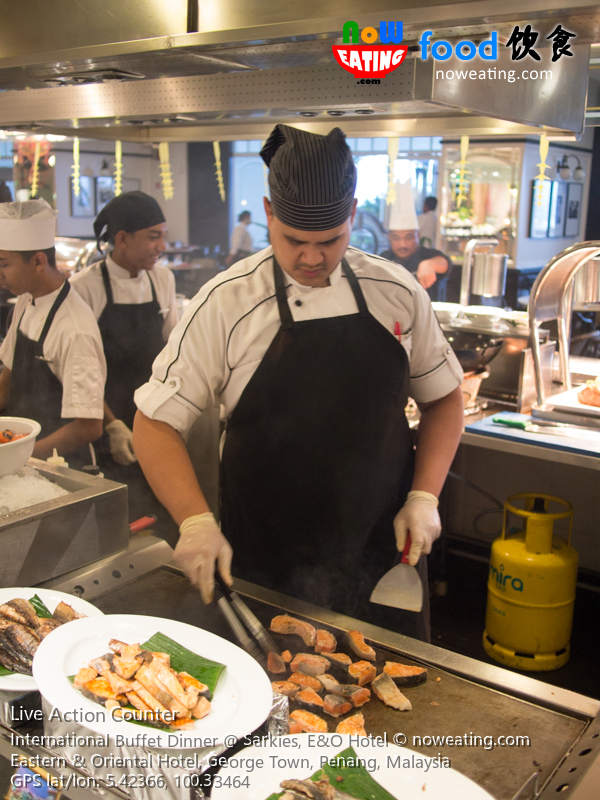 We recently re-visited it again for International Buffet. 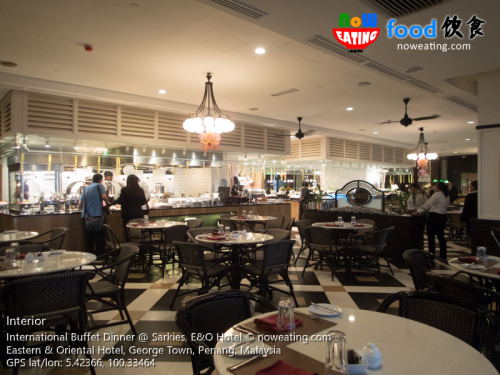 Each year, we visited Sarkies – the daily buffet cafeteria at the new wing at least once and each time was a surprise for us. 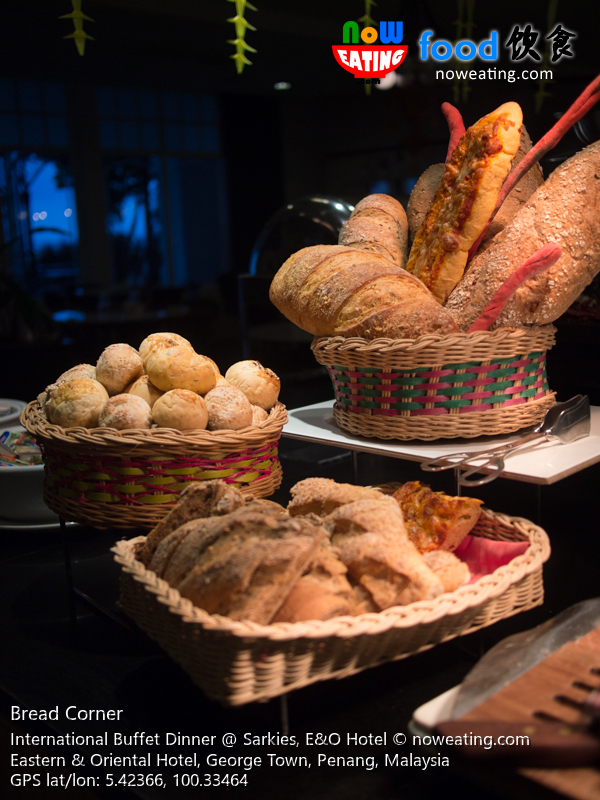 Our recent visit was no exception. 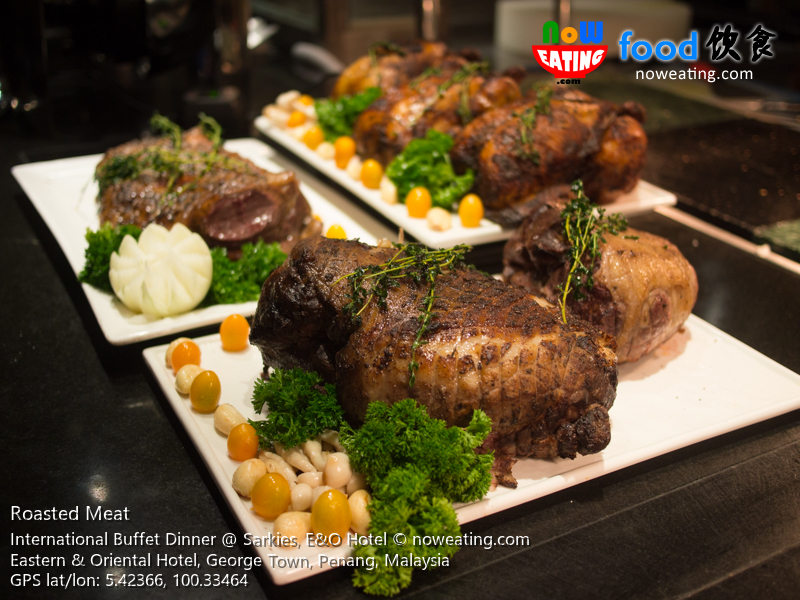 Other than “staple food” such as roasted duck, seafood on ice, grill stations, bread and soup corner, we observed new dishes being introduced not to mention that the overall taste was improved as well. 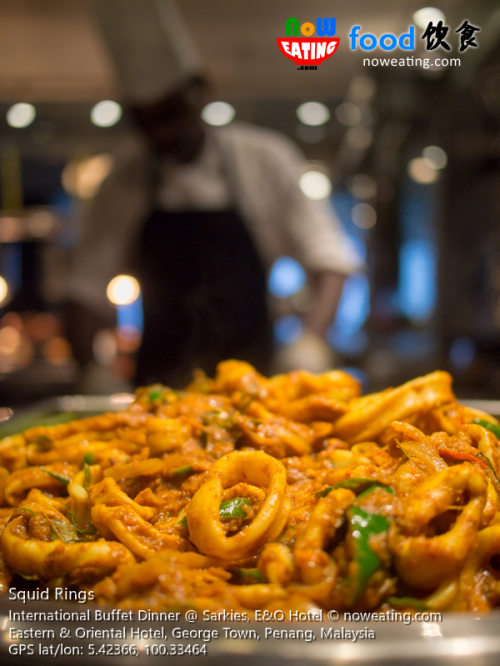 For example, one of them being the new stir-fried curry squid rings at live action counter which depleting fast. Hot tray corner does not let us down as well with cooked seafood such as crab and prawn at your disposal. 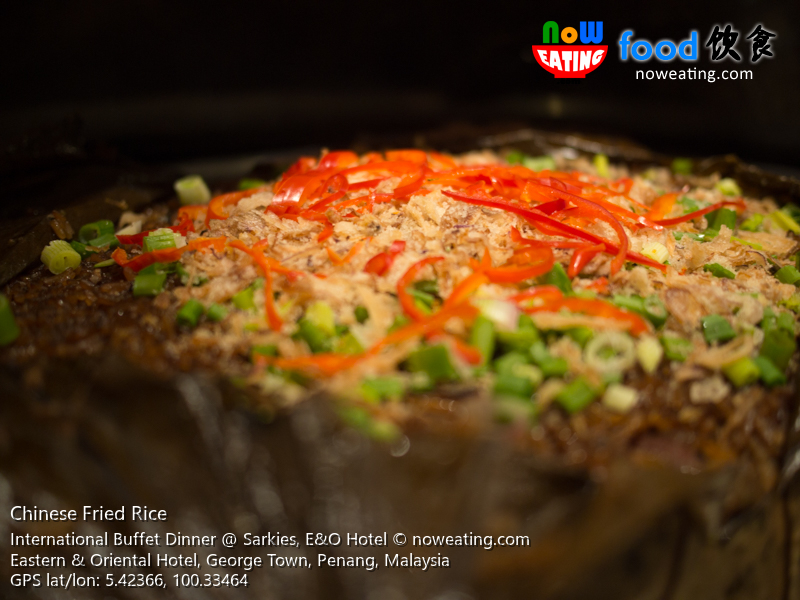 Many Asians cannot live without rice so Sarkies even offers Chinese Fried Rice wrapped in lotus leaves. If it is still not enough, a Chinese station is available and you may find hidden gem there such as Chicken Rice there. 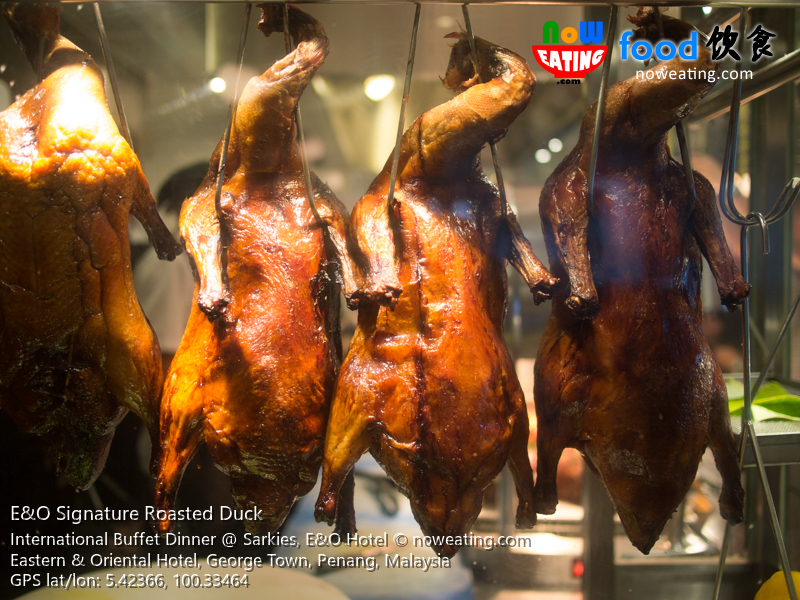 Not to be missed are E&O signature roasted series including roasted duck, chicken, beef and lamb. 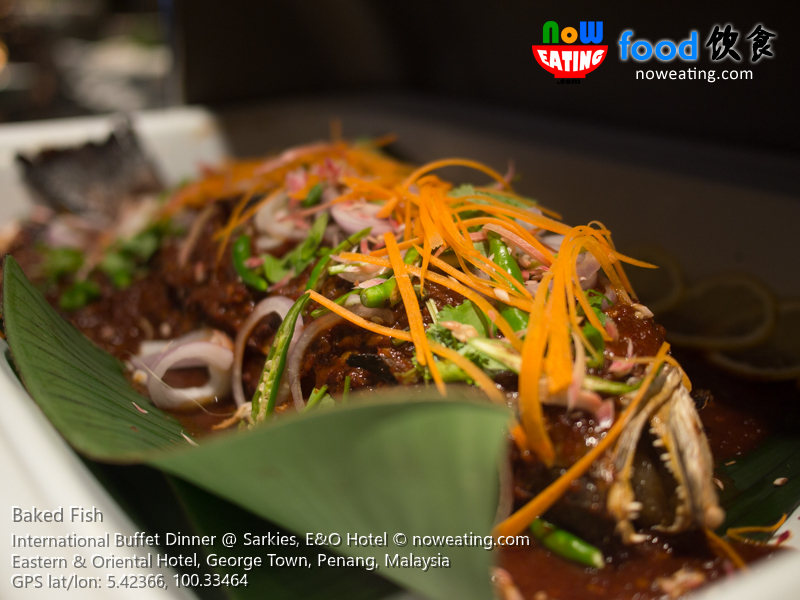 Shy away at one corner, baked whole fish is another recommended dish and we suggest our readers to grab one before turning messy. 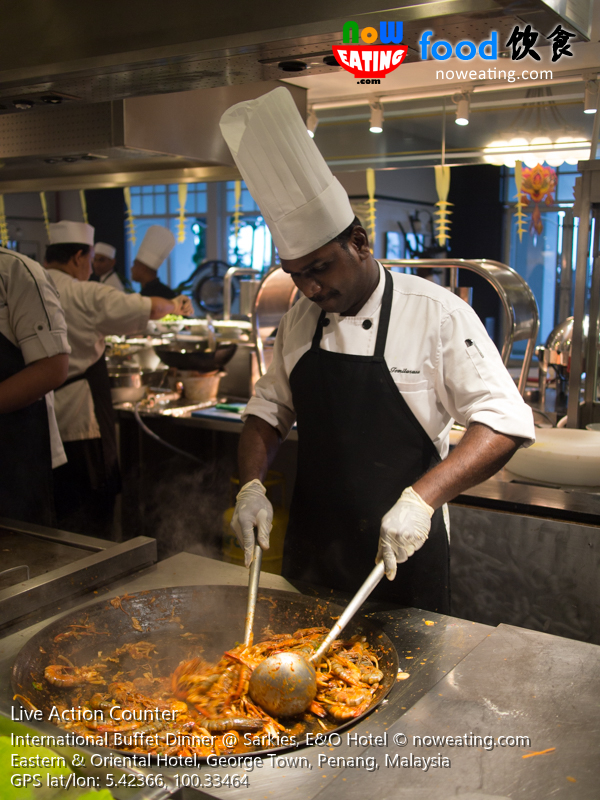 Also, be sure to visit noodle station for mouthwatering Char Koay Teow. 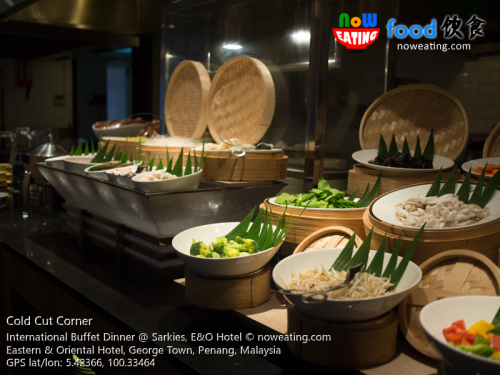 We were told that Sarkies offers one of the best hotel’s Char Koay Teow in town. 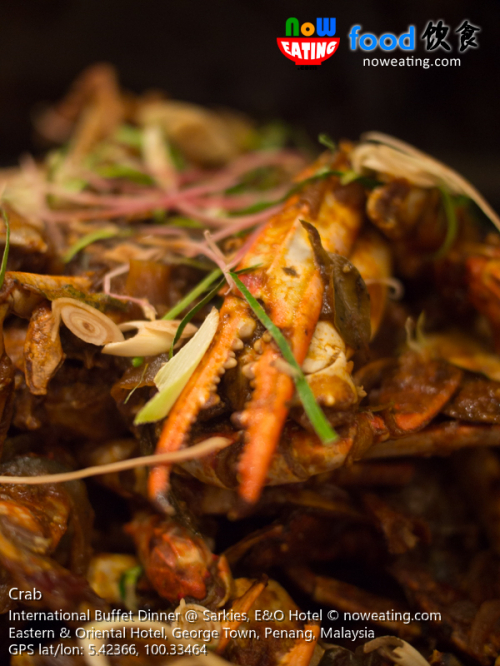 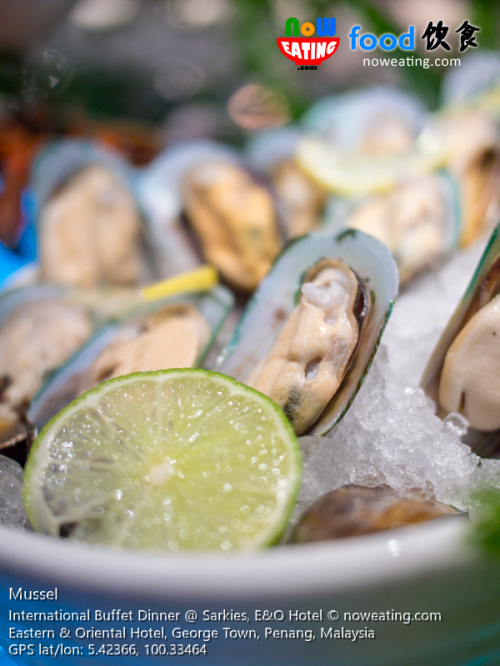 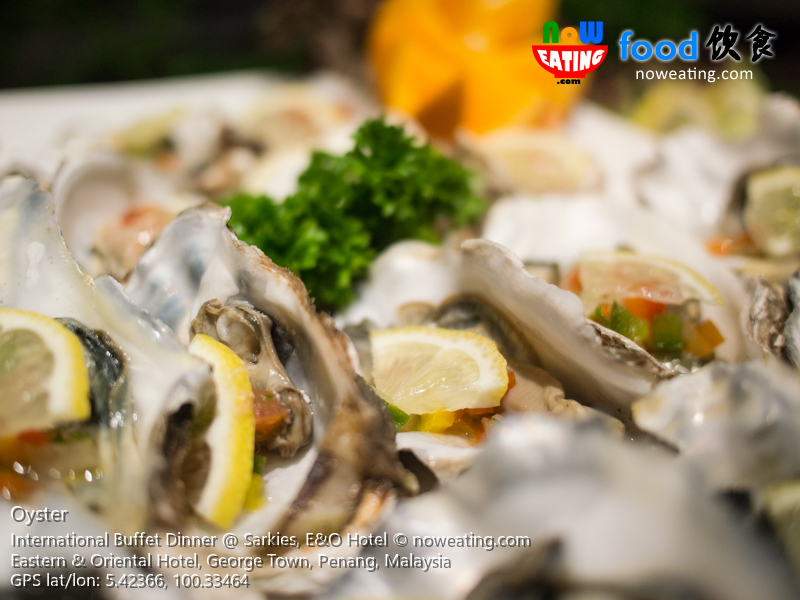 Seafood lovers will find Sarkies’ International Buffet bang for their buck as it offers abundance choice of seafood including Seafood On Ice containing fresh oysters, clayfishes, prawns and crabs to name a few. 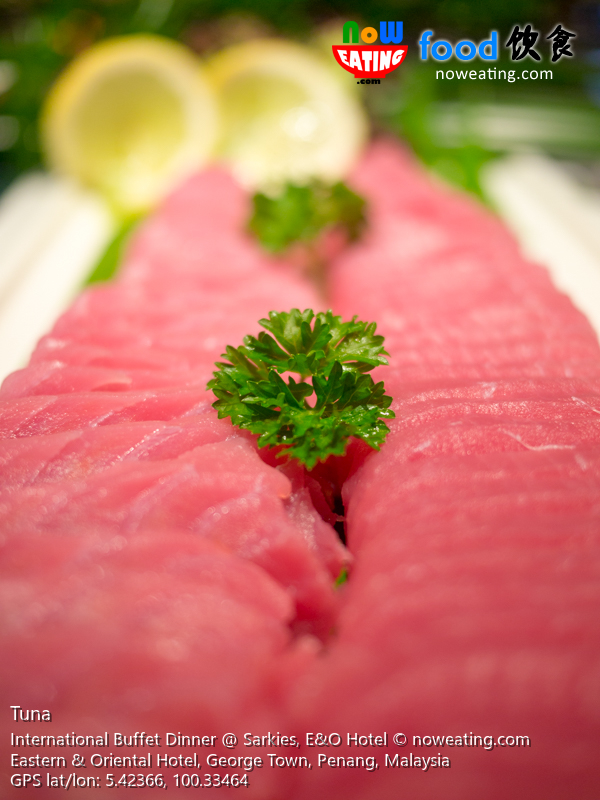 Moving to the next counter is Japanese section in which guests can continue enjoy fresh Sashimi and Sushi. 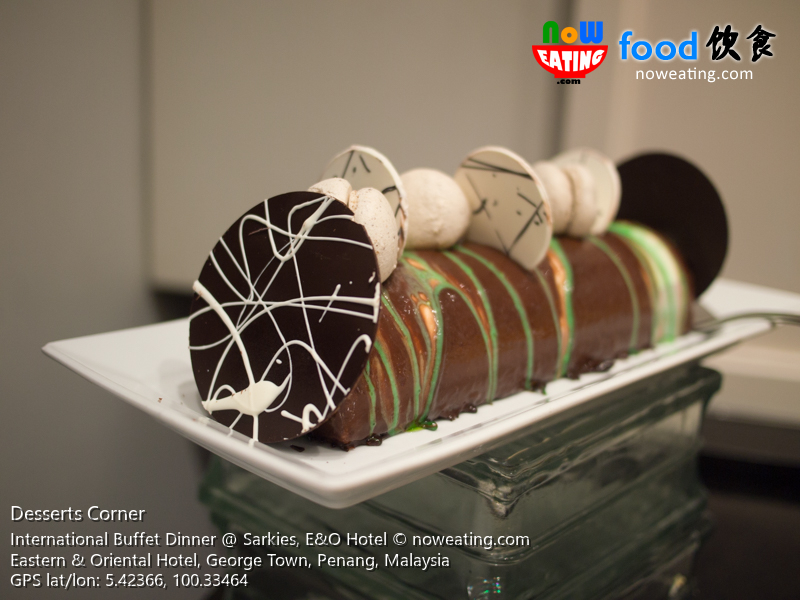 For us, we usually grab some desserts at the beginning of our meals to avoid disappointment when everyone finishes their main course and flocking to the desserts corner. Do not forget to ask for a cup of Cappuccino freshly brewed from espresso machine. 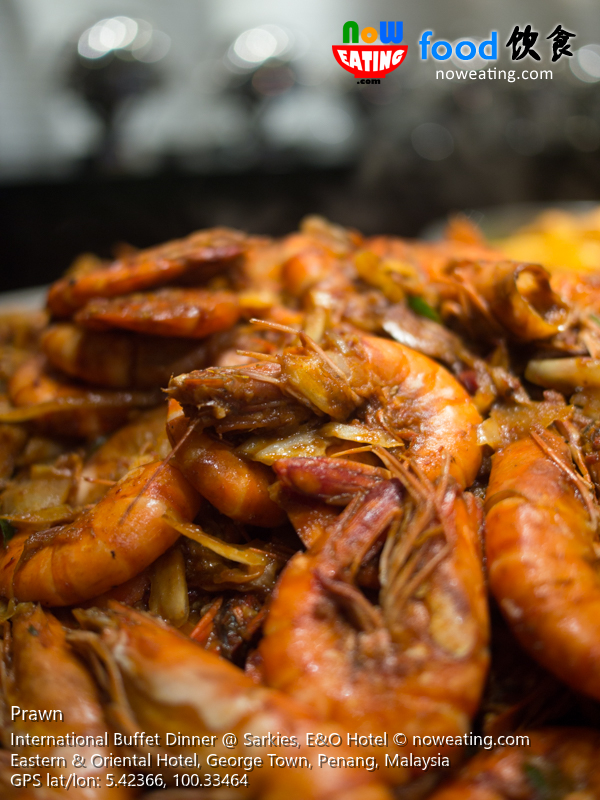 Is it worth the price? 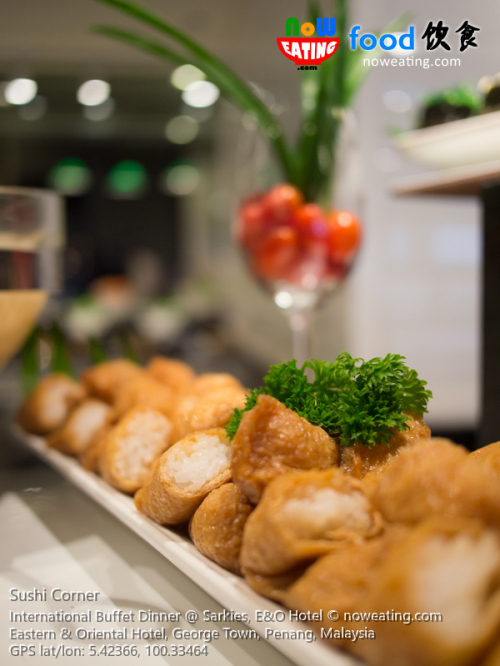 With more than hundred of quality items, our answer is YES. The International Buffet dinner is available daily at Sarkies from 7pm onward. 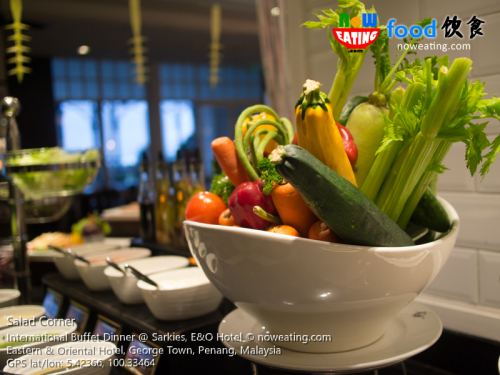 For reservation, kindly call Sarkies at +604 222 2000 Ext: 3601/3602. 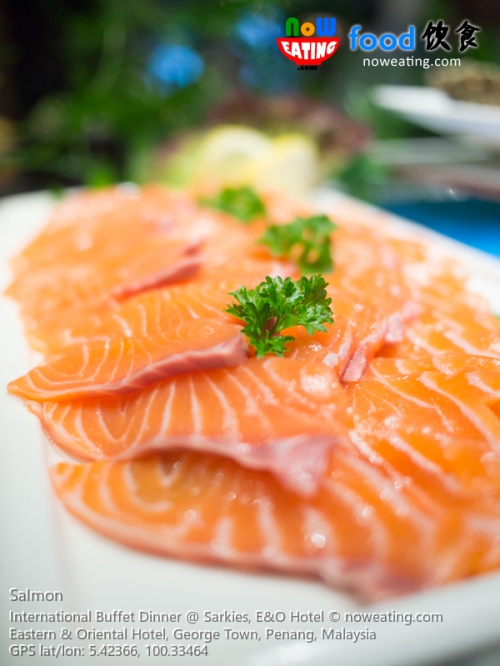 Child price applies to those from 6 to 12 years old.